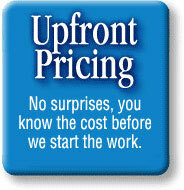 Our up front pricing means you will never be suprised or charged for overtime. We charge by the job, not the hour. You will be made aware of the full job price before any work begins. 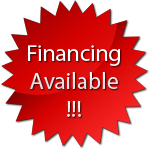 This allows you to have pricing options so you can make the best decision for you and your family.